Let's face it, even though Apple already offered a lot of nice looking cases for their free case program, a lot of us are still clamoring for their iPhone 4 bumpers. However, the only bumper that Apple is offering on their free case program is the black model. The black bumper case doesn't really do our black iPhone 4s a lot, it may be a good match for the white iPhone 4, which is still unreleased but black on black--meh. On eBay, other colors for the original Apple iPhone 4 bumpers are selling for as low as $49.99 to as high as $100. Jeez, before you make that blind leap--stop! Considering that Apple is stopping their free case program on September 30, the availability of the different colors of iPhone 4 bumpers will likely resume so no need to spend that much money. However, if you're desperate for an iPhone 4 bumper alternative, here are some Apple bumper look alikes available. Perhaps this is the slickest and most expensive iPhone 4 bumper look alike. But unlike the iPhone 4 bumper which is made of rubber and plastic, the Element Vapor 4 Case is made up of solid, CNCd aluminum frame made from aircraft-grade metals lined with a new, shock-absorbent liner material. This case costs $79.95 to $99.95. Be warned though, some users say that the aluminum case actually worsens the antennae gate problem. Not keen on spending $79.95 on a case? Case-Mate offers a cheaper alternative. 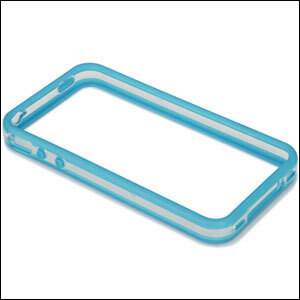 For only £14.95, you get an iPhone 4 bumper look-alike and comes in different colors too. The difference is that instead of the whole bumper containing one solid color, Case-mate opted to color only the edges and then make the parts covering the chrome lining of the iPhone 4, transparent. The bumper is made of rubber and molded plastic, has metal buttons for the power and volume buttons, and comes with a screen protector. It's available for pre-order over at Mobile Fun. Another cheaper alternative to the iPhone 4 and is currently available at Mobile Fun for £14.95. The Gear4 band is made of hard wearing plastic and comes with a 2 year manufacturer's warranty. 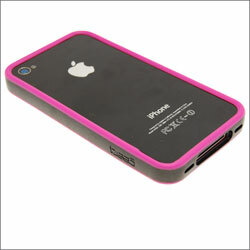 Colors available are black, black/grey, and black/pink (pictured). 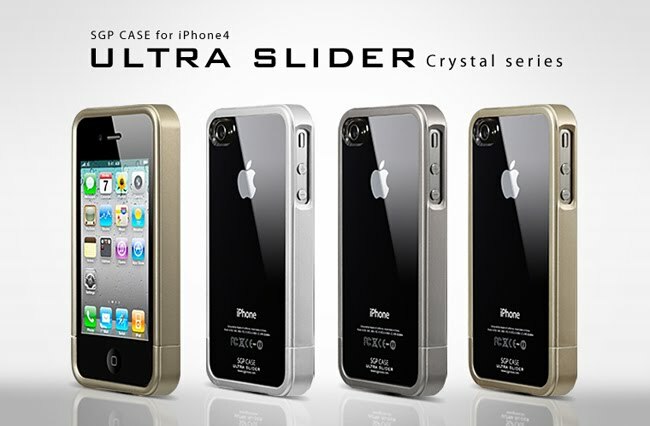 The SGP Ultra Slider isn't exactly like the iPhone 4 bumper because there's a crystal case that protects the back but it looks like bumper nonetheless. The SGP Ultra slider is a slider type case and provides access to all buttons. The only thing I don't like about this bumper case is that there's a bit too much opening near the mute and volume buttons. It comes in three metal like colors: gun-metal, satin silver, and champagne gold.